Choose An Online WWW SurveyCreator For Your Needs! 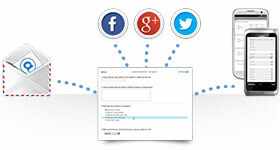 Choose QuestionPro To Create Your WWW Survey Questionnaires. Join Today For Free! When you choose QuestionPro, you can also create surveys with your smartphone or tablet, for QuestionPro is fully optimized for mobile devices. 1. Template Library: There are over 100 different survey templates that you can choose from in the QuestionPro template library. You can choose any survey you wish and customize it according to your needs. 2. Uploading: If you already have a survey that you'd like to use or maybe just a few survey questions, you can easily import them into the QuestionPro editor. 3. Starting Blank: If you're just looking to start from a blank template, you can QuestionPro provides you with over 30 different question types to choose from as well as direct access to your survey's CSS. If you work for the marketing or sales department of your company, you can use surveys to gain opinions and attitudes from your customers about your business. 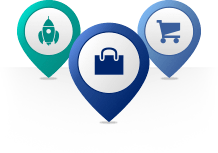 You can gain valuable information that relates to your products, product selection, pricing and availability. Anyone that manages people or works for the human resources department could benefit by surveying the employees of a company. Typical questionnaire topics include employee performance, as well as employee satisfaction. If your company is looking to develop a new product or service, you can save loads of time and money by conducting surveys to potential customers of the product. Gaining the opinions of those will help to solve any issues that you may already have and not realize. Teachers and administration in schools can increase the productiveness of the learning environment by issuing surveys to the students. Not only are they useful in discovering the effectiveness of classes, but other aspects as well such as clubs and programs outside of school. Step 3: Pick the method of questionnaires creation you need. There are three options for you to choose from, which include picking a template, importing a survey you already have or starting from a completely blank template. 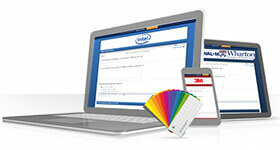 Since you have direct access to the CSS of your survey, you can change any fonts and colors you desire. How is the process of survey creation? Is there a huge template library for you to browse through and select from over 100 different surveys? If you have a survey that you've already sent out and would like to simply import, are you able to simply import it into the editor? How about starting from a blank survey template? Do you have a bank of over 30 different questions types to choose from? In term of customization, are you able to modify the CSS of your survey, allowing you to change the fonts and colors of your questionnaire? When you choose QuestionPro, you can do all of these things, plus more! Once your survey is created, what can you do to distribute it? Does the survey provider offer an option where you can purchase a sample of respondents that have certain demographics you need, like a particular age range or location? Can you post to your social media channels from within the interface? How about if you'd like your questionnaire easily posted to your website or blog? Does the provider give you custom HTML for that? And how about administering surveys offline? Does the survey creator your using offer a free app that allows you to do that? When you go with QuestionPro, you'll have all of these options available and more! Once you start to collect survey results, what are you able to do with the information? Can you create custom data filters or cross tabs of your information? What about performing trend or TURF analysis? 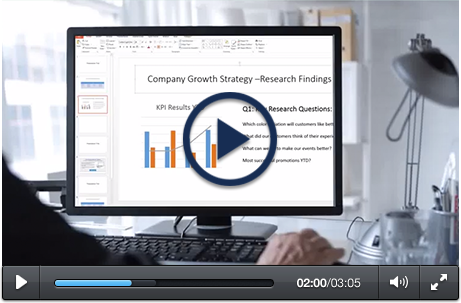 Can you export your results to perform more in-depth analysis in Excel of SPSS? What kind of data visualization tools are available to you? Are you able to create professional looking infographics and word clouds with your responses? In addition, can you sync your account with Dropbox and Google Docs? 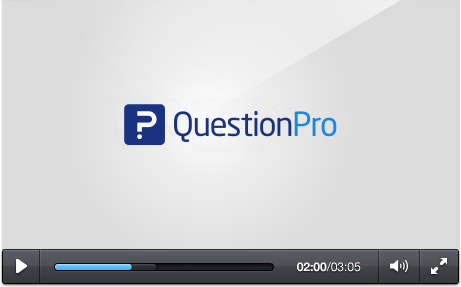 QuestionPro has all of the features offered above, plus a lot more. 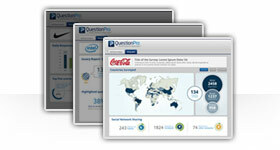 You can begin to create surveys the moment you sign up for a free account on QuestionPro. You can create an unlimited number of surveys and collect and unlimited number of responses. To start your first questionnaire, you have three different methods of survey creation, which include choosing and editing one from the survey template library, uploading an existing questionnaire or just simply starting with a blank template. For personalization, you can choose from pre-made survey themes or modify your questionnaire's CSS. When you're all finished with your survey and ready to send it out, you have a variety of option for sending it out. You can start by easily uploading a list of email addresses that you can use for distributing your survey. You can easily embed your survey onto your blog or website, in addition to posting it to your social media networks like Facebook and Twitter. You can generate a QR code to place virtually anywhere so anybody with a smartphone or tablet can take your survey. If you know that you're going to be a tradeshow with limited internet access, you can download the QuestionPro App before hand which allows you to give surveys offline. When you start collecting your results, you can do many things with the data. You can begin by seeing your results in real-time, having QuestionPro show you how many people viewed or completed your questionnaire. You can also perform trend or TURF analysis, in addition to creating data filters or cross tabs. If you'd simply just like to export your data, you can sync your QuestionPro account to your Dropbox or Google Docs. 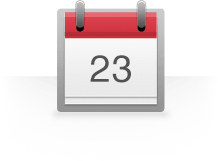 If you have an ongoing survey, you can schedule exports as well, automatically providing you with the information you need, when you need it.